Advances in versatility, ergonomics and sustainability give managers more options in specification. As a result of changes in commercial mower options, managers have more to consider when making purchasing decisions. 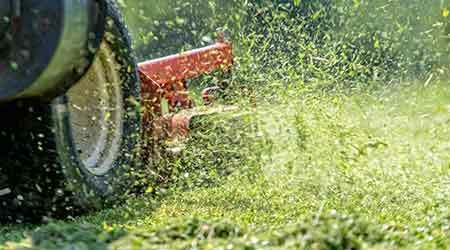 Mowers remain the workhorses of grounds care in many institutional and commercial facilities. From the smaller walk-behind and stand-on models that crews used to access hard-to-reach areas to the larger mowers with decks that help operators cover larger, more open spaces more efficiently, grounds managers have been able to tailor their grounds equipment arsenals to meet the evolving demands of their specific landscapes. But just as landscapes and turf areas around facilities have changed, so have mowers. Managers specifying new mowers now can choose from a host of new and improved models. Manufacturers have redesigned existing models, rolled out new ones, and updated features and functions to meet the expanding demands of managers, operators and mechanics. “Initially, it might be a little overwhelming because it used to be, ‘What size deck to I need? and ‘How much horsepower do I want?’ and that was it,” says Nick Minas with Deere and Co. “Now there’s a number of other factors that play into it.